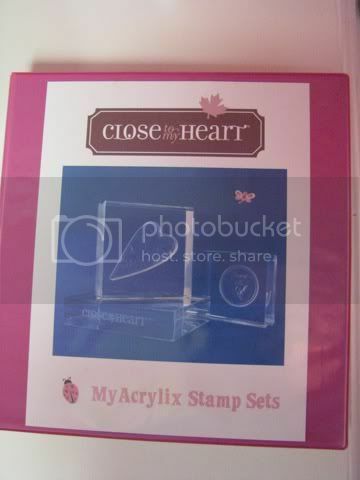 A number of people have inquired about how I store my CTMH My Acrylix stamp sets. I have finally come up with a system that I am totally happy with. 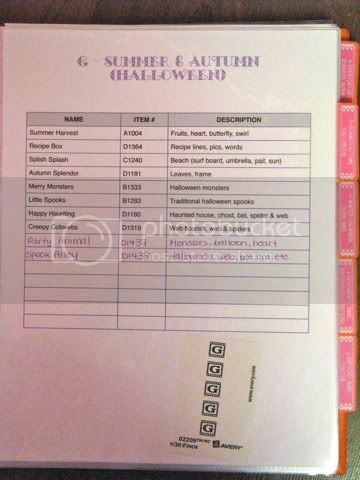 Now instead of flipping through stacks of envelopes for images, I simply flip through a binder that is organized by categories and cross referenced using an inventory list. I know that sounds a bit confusing, so I will demonstrate step by step with pictures on how my system works. It is a bit time consuming to set this up, but so worth it! (I have to apologize in advance, some of the pictures are a little dark). Scan or photocopy each stamp set (I just take them out of the plastic envelope and put them on my scanner as I receive them. Initially, I took all my stamp sets to Staples and photocopied them). **This was the hardest part. Sort your stamp sets in a way that makes sense to you. I generally sort by themes: spring, sentiments, Christmas etc. 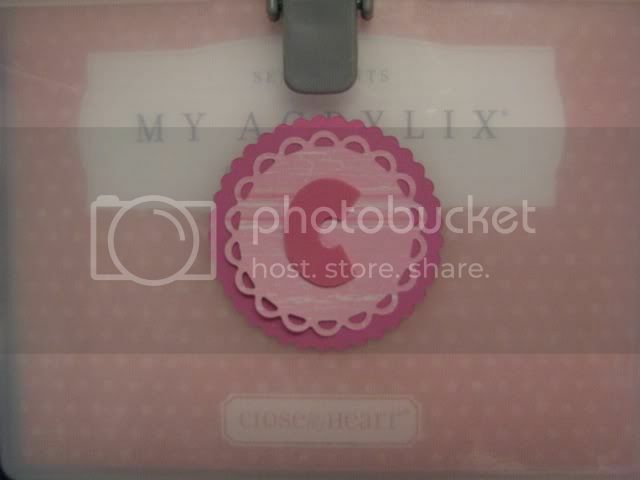 The My Acrylix Organizer (Z1038) holds 15 sets, so that is how many I grouped together. 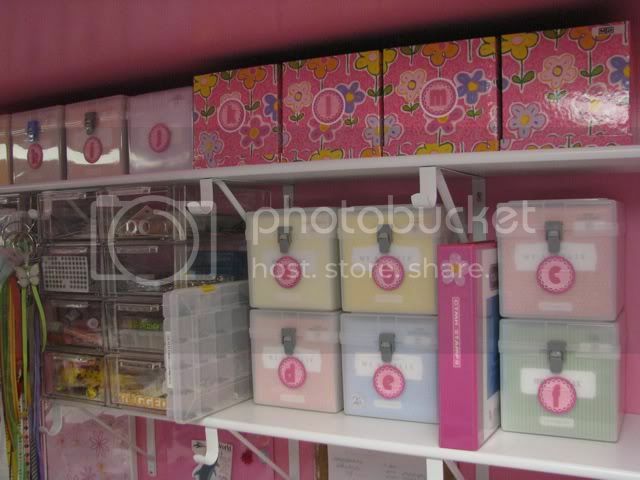 Before I started using the CTMH organizers, I used boxes from Michaels that actually hold the same number of sets. Your sets will be whatever the size of your storage container is. Then label each of the containers that hold a set with a number or a letter (I used letters). 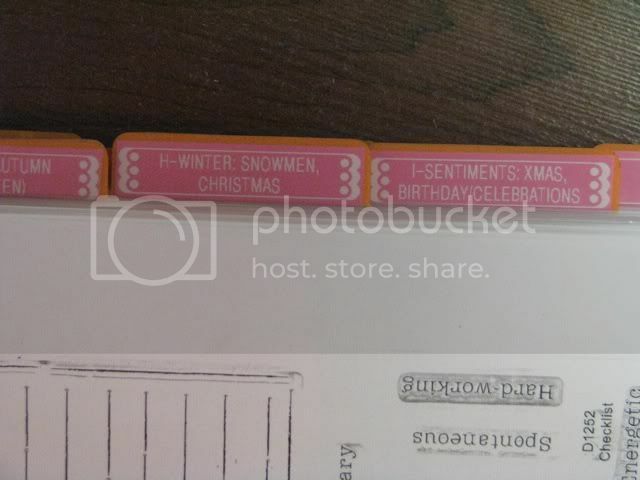 Label each stamp set with the corresponding letter or number from it's box. You could even take this a step further and give it a sub number to correspond to it's spot in the box. Eg. B-7 which means your stamp set goes back into box B into the 7th spot. Make a list / chart with the stamps from each box (I chose to put them in the order they are in the box.- - that's up to you). 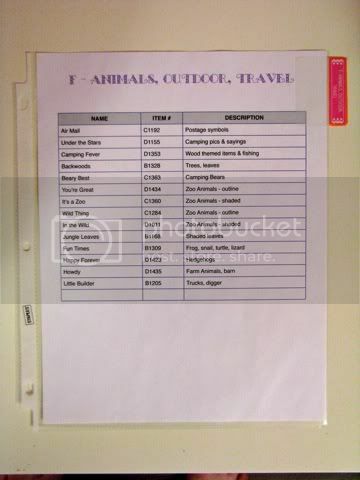 I Included the name of the stamp, item # and description. The title at the top of the page indicates box letter and theme. For boxes that are not full, I leave enough blanks on the chart so that I can easily add when I get new ones and I pre-print the labels and store them with the chart in the page protector so that adding new inventory is simplified. 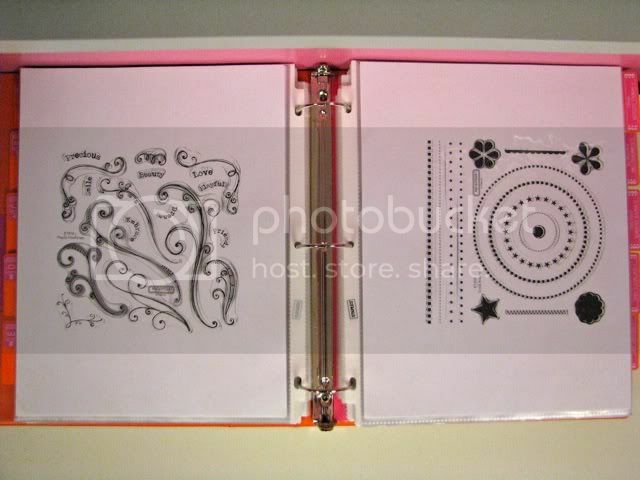 Next I made dividers / tabs and attached them to the page protectors. I then followed with inserting the photocopies of the sets in the order they are in their storage box. I put the photocopies back to back. For some of the smaller sets, you could put two on a page, but I just wanted to keep it simple. I also put extra page protectors in each section that was not yet full. WOW! I'm liking this idea!! I have too many stamp sets and I keep forgetting what I have! Looks like I'll be doing something like this after the open house this weekend. Thank you for taking the time to explain how you have yours set up! Have a great day! You're welcome. I'm glad I could help. I know when I first started organizing - it was wonderful getting tips from others. You have an amazing scrappy area! Just love your organizing of your stamps!!! 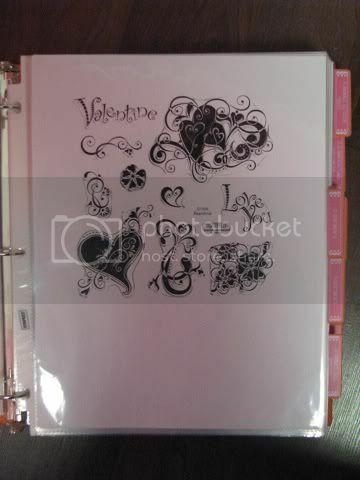 Love this - gotta do this with my various stamp sets, and get a system going for my A Muse Studio stamp sets!!! Thanks so much for your inspiration! wow girl. you have it together. !! Thank you for this! My mom must have gotten a ton of promotional credit stockpiled because - no joke - she just sent me 54 sets of close to my heart stamps! I only had 24 before that! So I'm kinda desperate to figure out how to organize them so I can you know, actually know what I have to use them all. LOL! This is very inspiring!